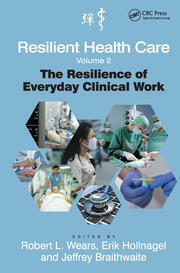 This book is the 3rd volume in the Resilient Health Care series. Resilient health care is a product of both the policy and managerial efforts to organize, fund and improve services, and the clinical care which is delivered directly to patients. This volume continues the lines of thought in the first two books. Where the first volume provided the rationale and basic concepts of RHC and the second teased out the everyday clinical activities which adjust and vary to create safe care, this book will look more closely at the connections between the sharp and blunt ends. Doing so will break new ground, since the systematic study in patient safety to date with few exceptions has been limited. Never Correspond Exactly to How Work Is Done? 15. Resilient Procedures: Oxymoron or Innovation? conferences on more than 800 occasions, including 80 keynote addresses. studies, resilience engineering and patient safety as a social movement. and Work, Applied Ergonomics and Reliability Engineering and Safety Science. and aviation, software engineering, land-based traffic and health care. 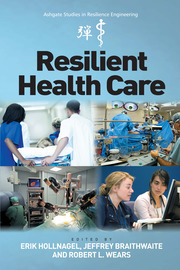 coordinates the Resilient Health Care Net (http://www.resilienthealthcare. net) and the FRAMily (http://www.functionalresonance.com). 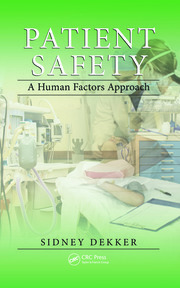 "This book pushes the boundaries of patient safety science and is essential reading for all those interested in creating better, safer, health systems." "I really like the highly international nature of the chapter authorship and also the way in which chapters blended together both a resilience engineering prism and an organizational behavior perspective, which is unusual and encouraging." "The book justifies an important shift in perspective: from the ‘find-and-fix’ approach that focuses on where the system is not working to a more positive focus on how things do work and how we can learn from models of good practice." "This book builds a much needed bridge over the gap between our plans for care and the reality of practice. It makes a valuable contribution to the RHC series. As the final installment of the trilogy of books on this topic it offers a range of perspectives and challenges to thinking on this topic that will be of interest to students and practitioners interested in health care improvement and re-design." "The change of perspective from Safety I to Safety II is a major breakthrough in thinking about patient safety, emphasizing the complex and dynamic interactions that characterize much healthcare practices. 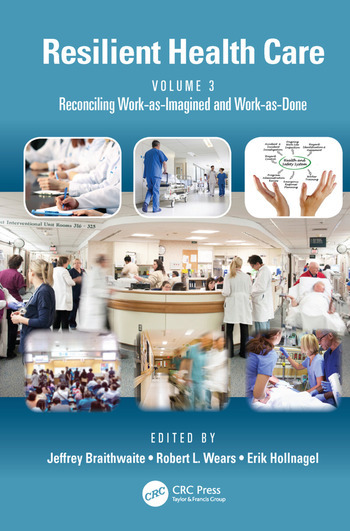 Putting the relation between ‘work-as-imagined’ and ‘work-as-done’ center stage, this book adds to those critical insights by offering tools (and re-analyzing existing ones) that help both scholars and practitioners in researching and designing safer healthcare systems."